I thought today i'd show you all my basic recipe for tomato sauce. This is my basis for spag bol, chilli, lasagna, enchiladas... anything you can think of really! 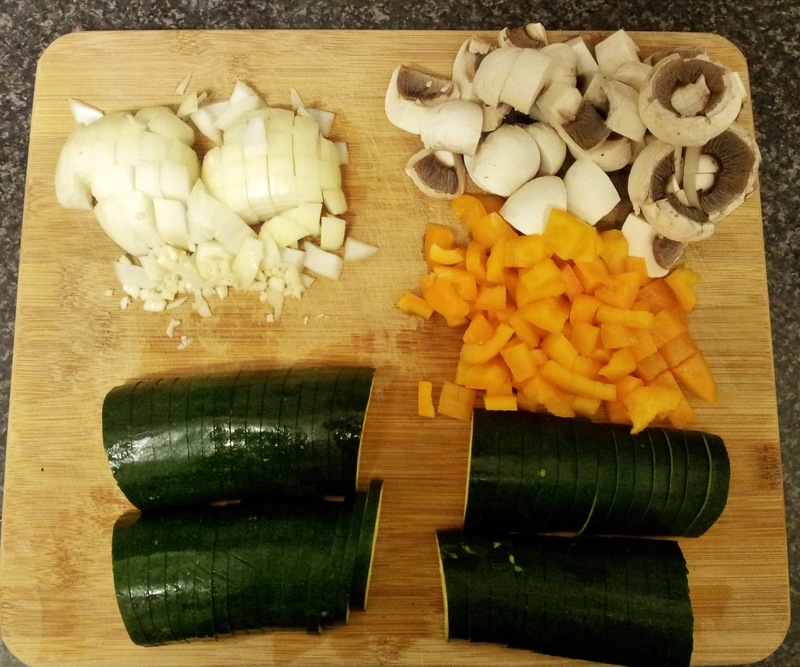 And as I have the ingredients in all the time it is a brilliant "oh my gosh I have nothing in and the shops are shut/I can't be bothered to go out and i'm starving" meal. I do apologise about the photo quality in my blog. I take all of the photos on my mobile phone (Samsung Galaxy S2 if you were wondering) and in my kitchen I have no window, so they're all taken under a strip light, which I know isn't the best, but the best I can do in the circumstances. And whatever vegetables and meat you like. I was making a vegetarian basic one tonight as it's nearly pay day and i'm skint, so I used a courgette, an onion, 2 cloves of garlic, a pepper and some mushrooms. You can add or subtract as much as you want to this, but I do recommend the use of the onion and the garlic as a minimum. 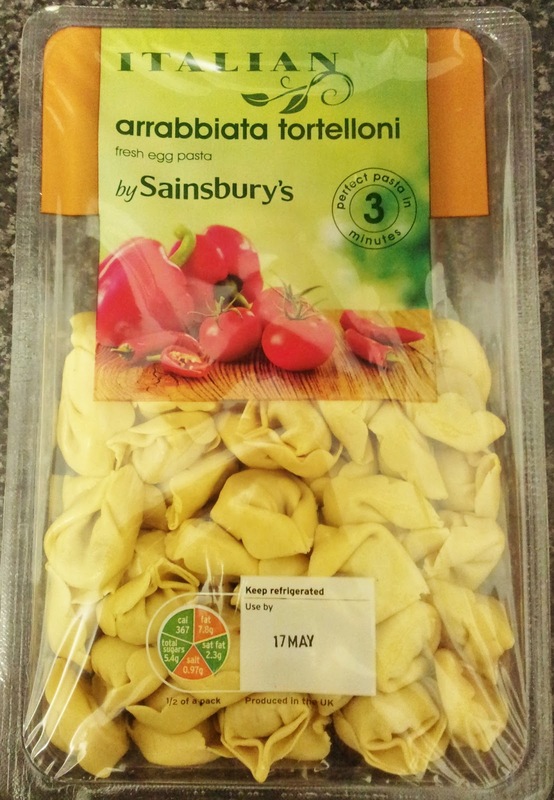 I'm serving mine with tortelloni, or as I call it, stuffed pasta. I love this stuff, it's actually quicker to cook than a microwave meal, and a whole load healthier and more filling! It comes in loads of flavours, and I prefer the vegetarian ones to be honest as the meat can end up tasting a bit fake to me. Chop all the vegetables you're adding into the sauce, and cook the meat as you wish. 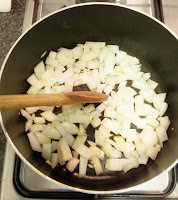 Fry the onion and garlic in some fry-lite until softened. 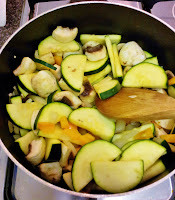 Then add in the vegetables and cook until to your liking. 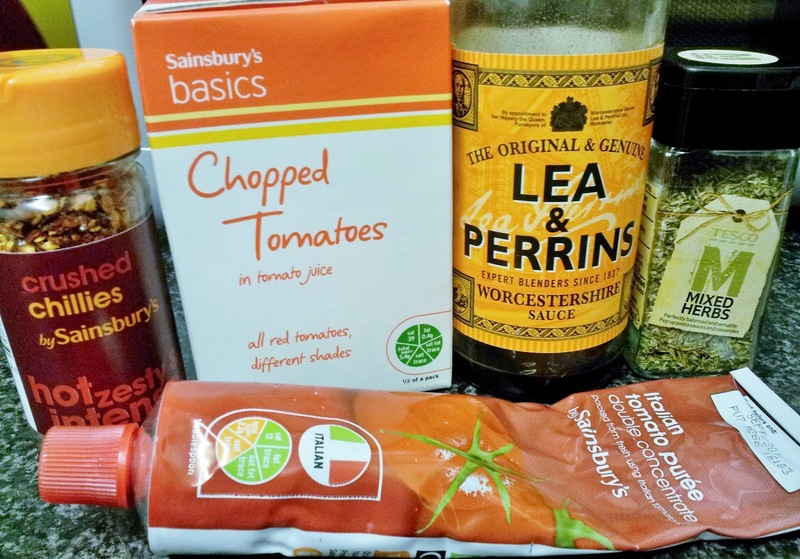 Then chuck in your can/carton of tomatoes, approximately 2 tbsp of the tomato puree, a good glug of the Worcestershire sauce and a good whack of the mixed herbs and chilli. Adjust all of the amounts to how you like it, and don't be afraid to keep tasting it til you think it's perfect. Give it a good stir in and leave to simmer for about 10 minutes, or until you can't wait to eat it any longer! 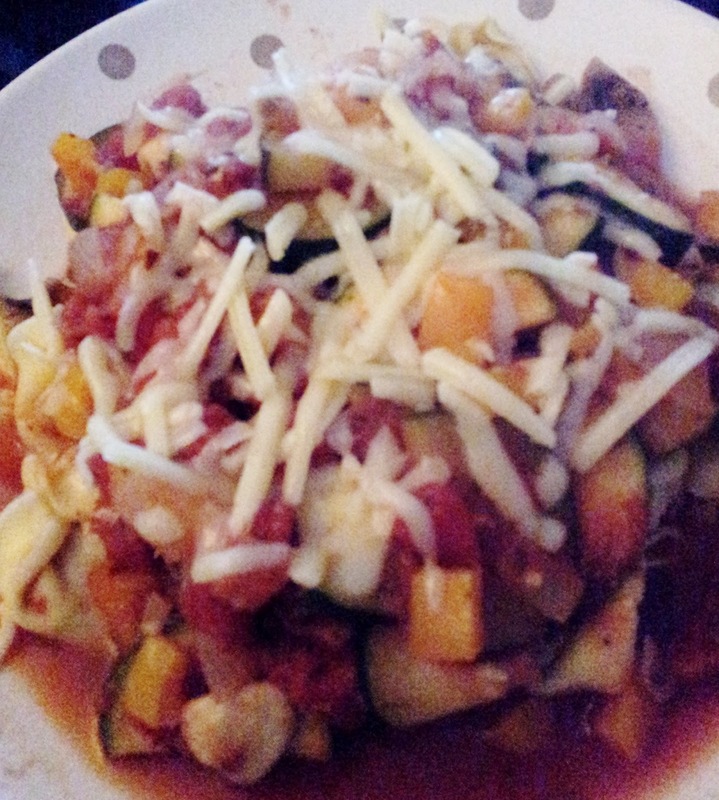 I poured mine over half of the stuffed past and sprinkled 30g of grated cheddar on top. For all you Weight Watchers people out there, the sauce on its own is free as long as you only use fry-lite and less than 1tbsp per person of tomato puree. When I added the pasta and the cheese it all came to 9 points, which isn't bad considering how filling it is! Do you have any staple recipes? 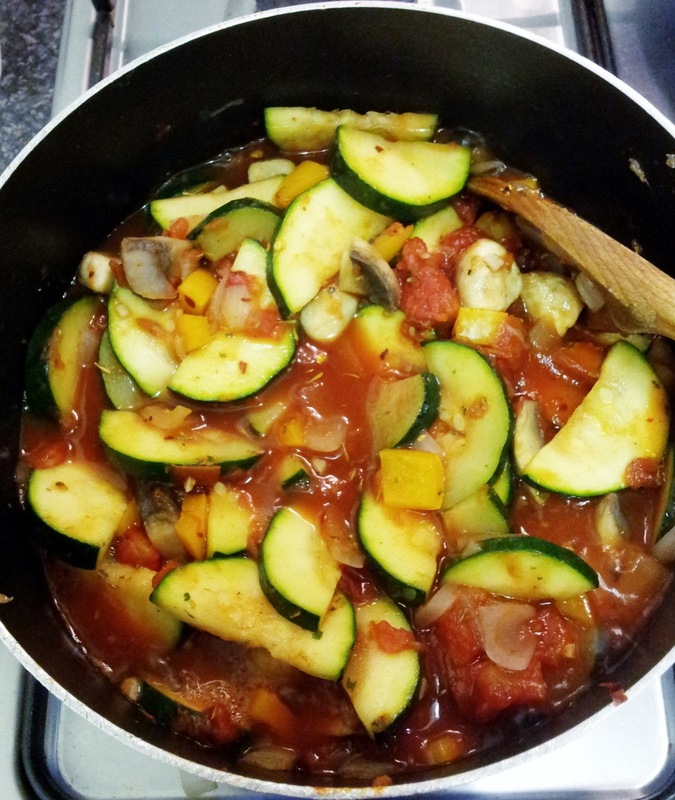 What are your variations on my recipe for your basic tomato sauce? 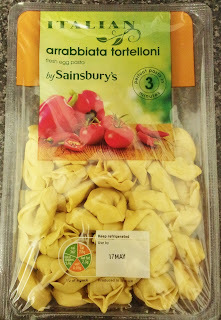 eep I know what you mean about the meat tasting fake in the tortelloni, although I LOVE the Giovanni Rana ones, I think it's parma ham and something else filling, ohmagard its the best in the world (also from sainsburys). this meal looks delish and totally like something I would make at home! Two Door Cinema Club Live!